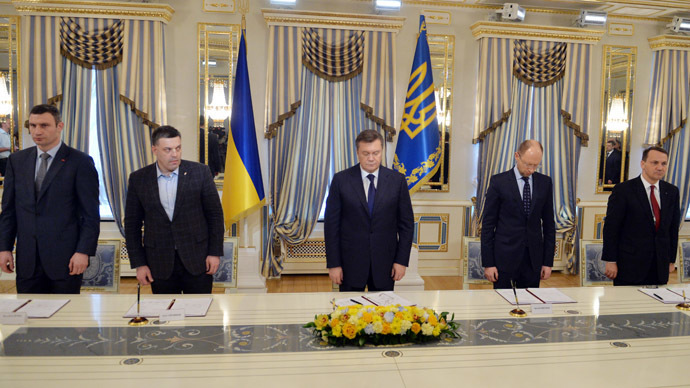 Ukraine's President Viktor Yanukovich and opposition leaders have signed an EU brokered agreement on ending the political crisis in the country. The Ukrainian opposition representatives included the leader of the UDAR political party, Vitaly Klitschko, the head of the Batkivshchyna opposition party, Arseniy Yatsenyuk, and the leader of the nationalist Svoboda opposition party, Oleg Tyagnibok. The breakthrough agreement was witnessed by EU foreign ministers who brokered the deal, including Poland’s Radoslaw Sikorski and Germany’s Frank-Walter Steinmeier, as well as Director at the Continental Europe Department of the French Foreign Ministry, Eric Fournier. Russia’s Human Rights Commissioner Vladimir Lukin, who was present at the negotiations, noted the positive dynamic of the talks. "We got acquainted with our partners’ position, and now we understand it," he said. However, he added that “the biggest difficulty is that the situation is constantly changing" and there is no clarity as to who will fulfill the agreements and how. On Friday, Yanukovich announced early presidential elections and the return to the constitution of 2004, which limits presidential powers and widens the parliament’s authority. Ukraine’s Parliament has already adopted a law restoring the constitution of 2004 with 386 MP’s voting in favor. Yanukovich also said a national unity government will be created. Steinmeier has confirmed that the signed deal includes these points. The EU foreign ministers have welcomed Ukraine’s agreement and called for an immediate end to violence. According to the conditions of the agreement, within 48 hours a law restoring the 2004 constitution is to be adopted and signed, after which in 10 days a national unity government is to be formed. The agreement also states that as soon as the new constitution is adopted, no later than September, the presidential election must be held until December. Yatsenyuk has confirmed the snap presidential election will be held between September and December. “Both parties will undertake serious efforts to normalize life in the cities and villages by withdrawing from administrative and public buildings and unblocking streets, city parks and squares” the text of the agreement reads. 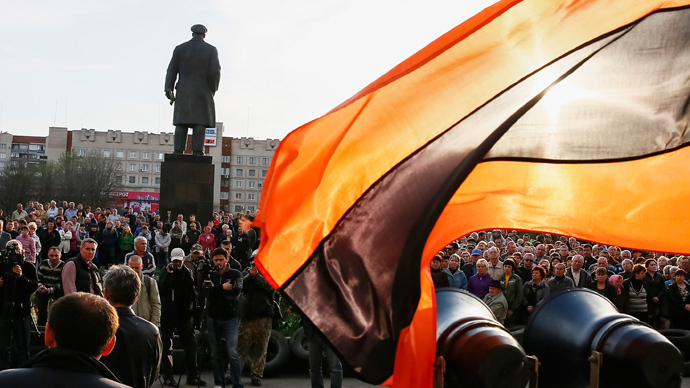 Leader of far-right group Right Sector, Dmitri Yarosh, told the protesters at Maidan Square Friday that the deal reached between the president and the opposition is not acceptable. Yarosh said that his group will not be putting down their arms until President Viktor Yanukovich resigns. “The Right Sector will not lay down its arms. The Right Sector will not remove the blockade of one of the government buildings until our most important requirement is fulfilled – the resignation of Yanukovich,” Unian quoted him as saying. Later on Friday, presidential impeachment bill was introduced in the Ukrainian parliament. The new initiative was authored by Nikolay Rudkovskiy, the head of the Socialist Party in Ukraine, which is part of the ruling Party of Regions coalition. The bill was published on parliament's website, though no details were provided. Also, the Ukrainian parliament voted on Friday in favor of an unconditional amnesty for all people detained, or who might face possible prosecution in the current unrest. Under the agreement all illegal weapons should be handed over to the Ministry of Interior within 24 hours. After this, all cases of illegal carrying and storage of weapons will be prosecuted under Ukraine law. 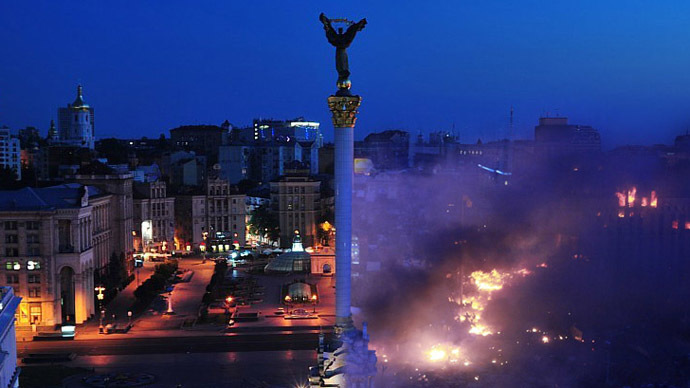 Ukraine has been gripped by protests since November, with the opposition calling for Ukrainian President Viktor Yanukovich to resign. 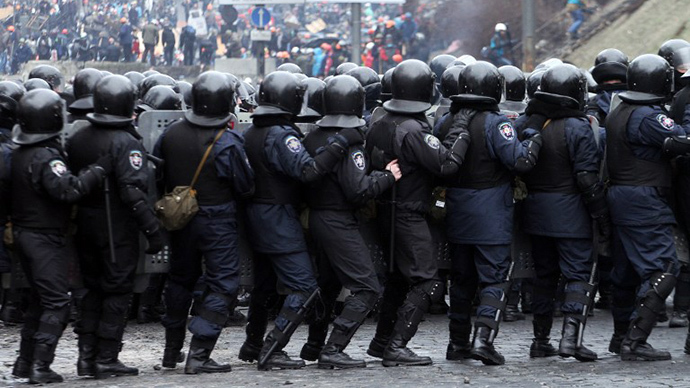 Initially the protests were triggered by Yanukovich backing down from the EU integration deal. However, these have turned into violent riots against the government. 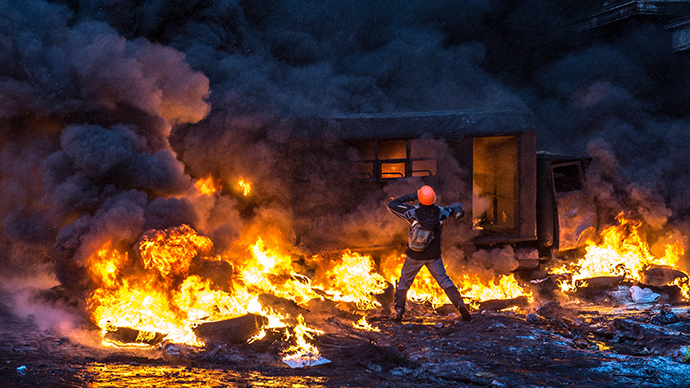 The situation escalated from January to February and saw its peak this week, after rioters reignited street clashes with police in the capital Kiev.